Push press is the second part of the thruster. Starting from the bottom position, engage your core and glutes, drive up (explode out of the bottom) with your hips and thrust the bar overhead. Don’t press it as you’ll eventually, especially with high volume thrusters, burn out. 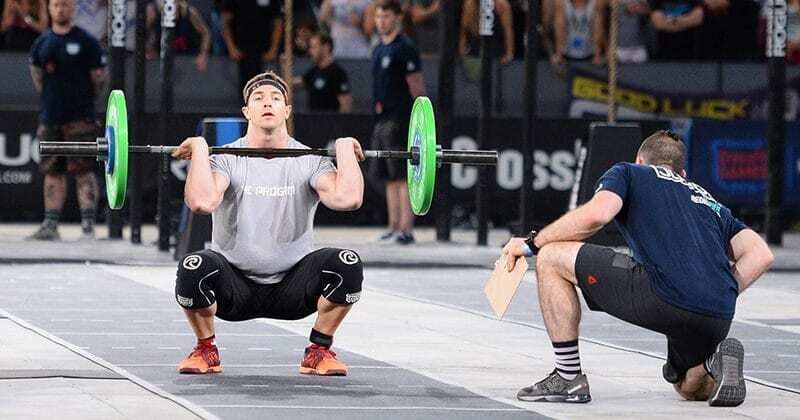 Like in many other Crossfit MetCon’s movements you have to look for efficiency, using less strength and more weightless momentum to last longer. Same goes for thursters: generate the power by standing up from the squat and use it for “throwing” the weight over head. Learn the push press and it’s characteristics. Stand in a hip-width position, keep the weight on the heels. Dip and drive up to push the barbell up. Understand the difference between shoulder press and push press. Also, learn to feel that difference.